St. Sophia’s Forgotten Felines is a non-profit foster-based cat rescue in Westmont, IL. Established in late 2010, St. Sophia’s strives to be the best in temporary care for cats in transition. What does this mean? It means that the cats in our care aren’t intended to stay in our care. Our hope is a forever home for every adoptable cat — no more homeless cats! The cats we care for at St. Sophia’s come from many different places. The majority of the cats we help are those that are helpless, who have not experienced love or a home, stray, abused, and neglected cats. Primarily we work with high-volume/high-kill animal controls to save cats from needless euthanasia. Our largest partner is Chicago Animal Care and Control. Other ACs we partner with are Aurora, Joliet Township, DuPage, Herrin, Marion, Quincy, Tilton, Union, Jasper, and Whiting. St. Sophia’s also works with local Trap-Neuter-Return organizations. Trap-Neuter-Return (also known as TNR) is a method of humanely trapping unaltered feral cats, neutering them, and releasing them back to the same environment where they were originally found. TNR is promoted by proponents as a humane and more effective alternative for managing and reducing feral cat populations (compared to euthanasia). While most cats trapped are completely feral (wild, without any domestic socialization), some cats—often kittens, or even adults that have been well cared-for outdoors—can, and have, become socialized and adoptable. TNR organizations aren’t equipped to handle the “friendlies” that come in, so we step in to assist those cats looking for homes. Lastly, some of our cats are direct owner surrenders. Sometimes circumstances have it that people are unable to care for their cats due to moving, eviction, financial issues, death, allergies, etc. We accept these cats in when we have space and maintain a waiting list of those who need assistance. If you ever find yourself in this type of position, please read our surrender policies to see how we can help. Once a cat is in our care, St. Sophia evaluates each cat individually in order to determine what the best forever home would be. We use the ASPCA Felinality Behavioral Assessment Tool to learn about each cat’s needs and personalities. 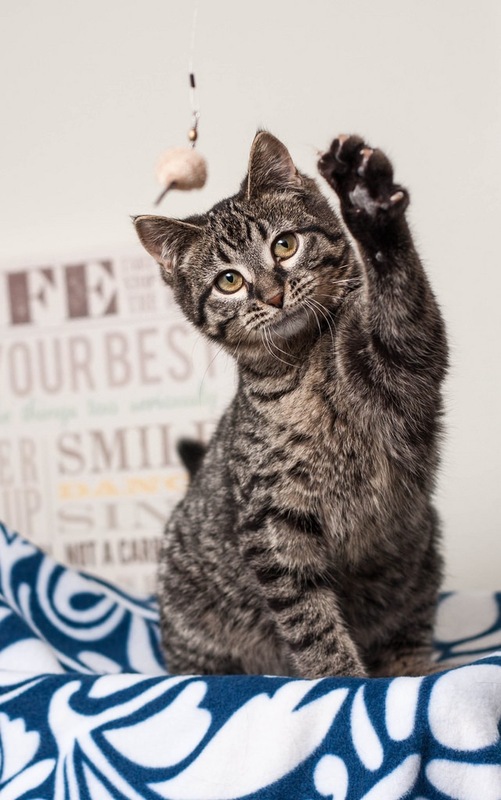 Our cats are raised in foster homes and get individualized attention to help them reach their full potential and get ready for their forever homes. Each cat is different in many ways, and St. Sophia’s prides itself on being able to determine what’s best for each cat on a one-on-one basis. The Board Members of St. Sophia’s Forgotten Felines have over 20 years of service in feline welfare combined. They come from various backgrounds including marketing, publishing, business, web-design, librarianship, and more.